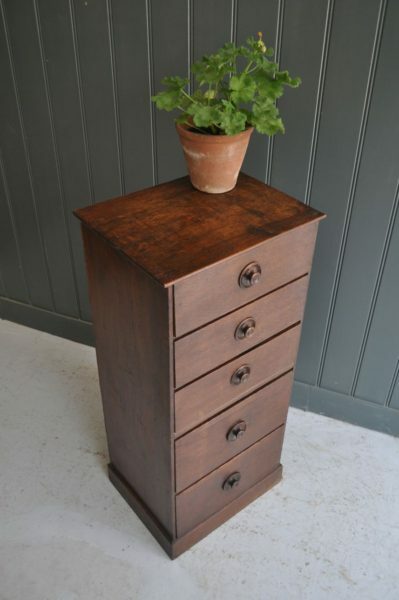 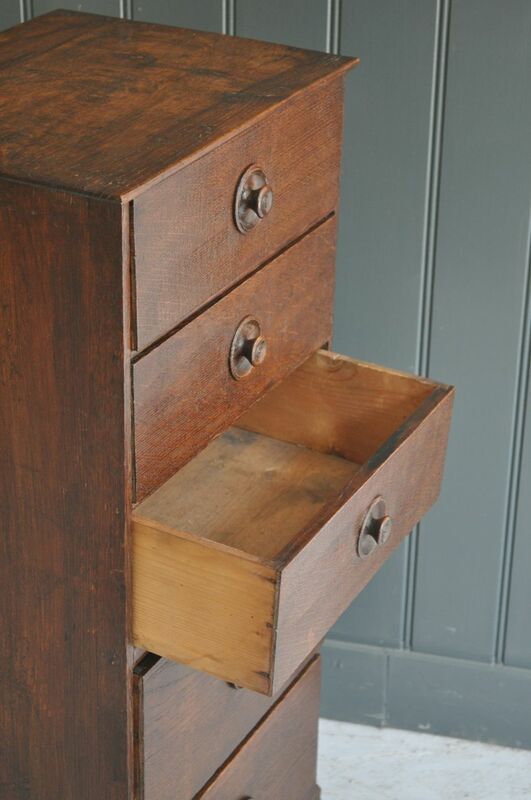 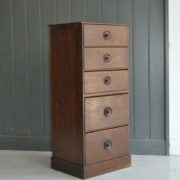 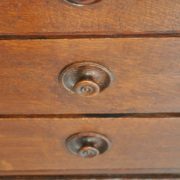 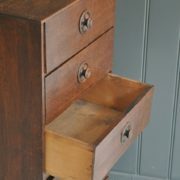 Flight of oak drawers with lovely turned handled. 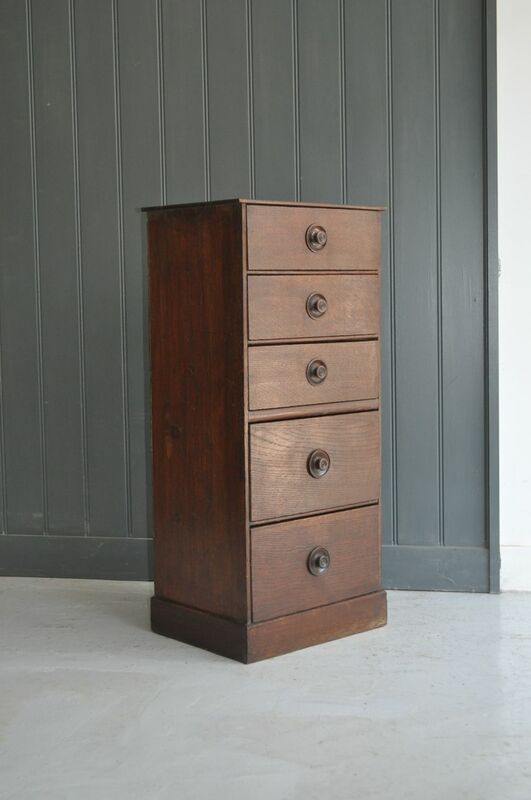 Probably originally from a shop or workshop, but a neat size that could fit well in a hallway. 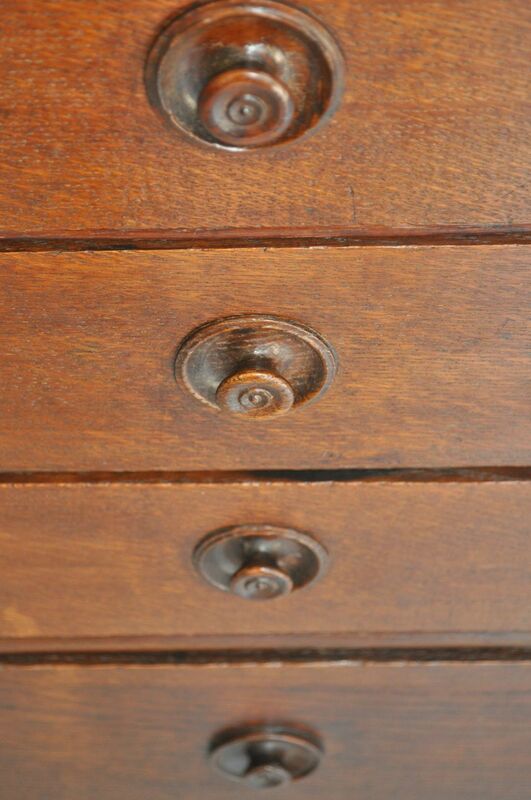 Just light wear in keeping with age.